Over the Easter weekend I traveled to Copenhagen with my youngest daughter for some fun and relaxation. Since it was Easter the shops were only open on Saturday and while Anja did her own thing, I managed to squeeze in a few fabric stores on that day. 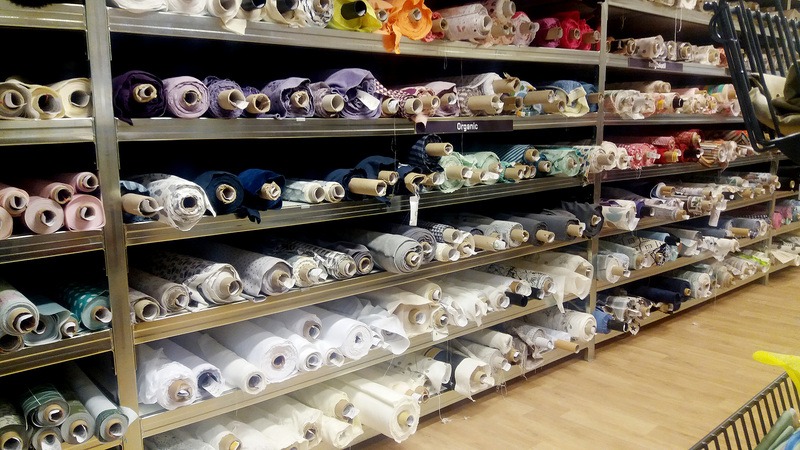 So here is my (not entirely complete) guide to fabric shopping in Copenhagen. Gammel Mønt 19This is one of oldest fabric stores in Copenhagen with a great location near all the cool designer stores. This was my first time visiting this particular store and I was blown away by the highly curated selection of beautiful high quality fabrics. A lot of designer fabrics, such as Prada, Marni, Paul Smith and Armani plus some really nice quality Danish made knits. The sales clerk assured me the designer fabrics are legit, and I choose to believe him! 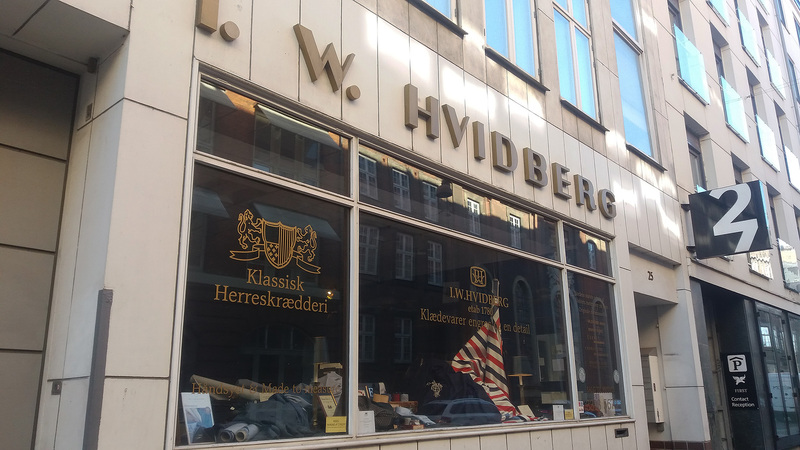 If you only have time to visit one fabric store in Copenhagen this should be the one. I’ve been searching to no avail here in Sweden for the perfect denim fabric with a slight vintage wash. But in Skipper Stoffer I found the denim of my dream, from the designer jeans brand G-star. My fabric store score: 5 out 5. A Danish pattern line that I had never heard of before. Stof 2000 is a big Danish fabric chain with several locations in Copenhagen and an online store too. Not sure wich is the best one, but the one in Norrevold (a fairly central location) is pretty great. Big airy location with two floors and even have their own fully equipped sewing studio that you can use. 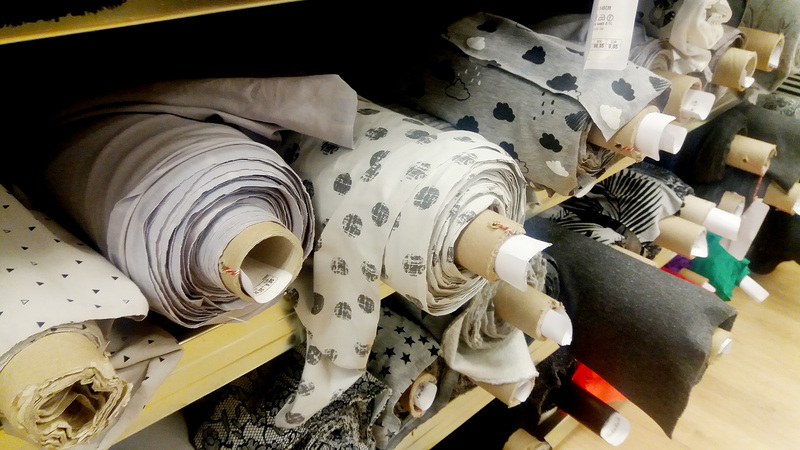 If there is one thing that makes Scandinavian fabric stores stand out it’s the big selection of prints, and especially printed knits fabrics. And Stof 2000 is no exception, with a great selection of everyday fabrics in nice colours and prints. I found some labeled designer fabrics here too, such as a Prada coating and a lot of un-credited designer fabrics too. I bought a beautiful printed silk/cotton voile here. There are actually two adjacent Stof 2000 stores on this street, one for garment sewing and one is for home dec.
My fabric store score: 4 out 5. 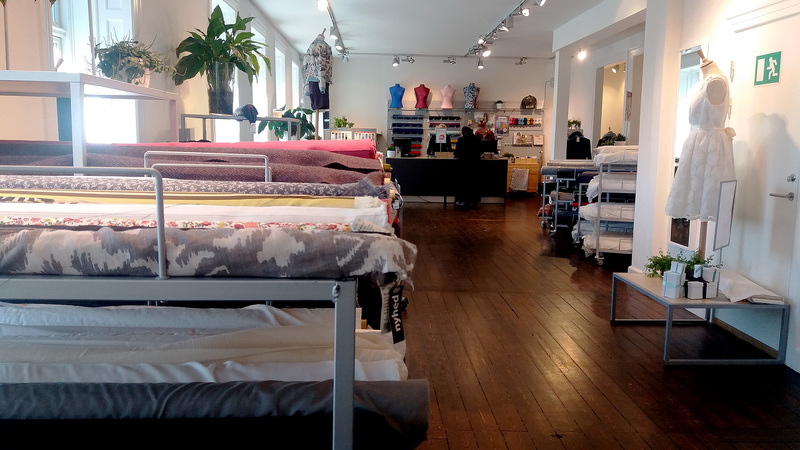 The big organic fabric selection in Stoff og Stil Vesterbro. Stoff og Stil has a huge selection of jersey prints. Another big Danish fabric chain store that also sells online and has shops in several European countries including Sweden. 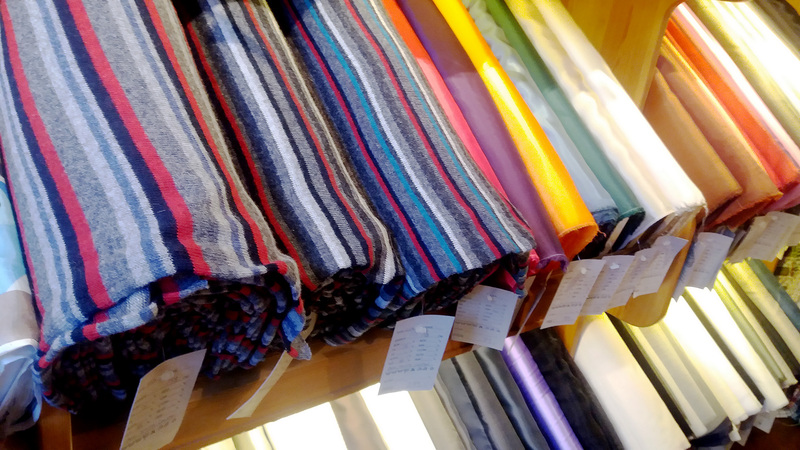 What I love about Stof og Stil is that they are truly a mega store, where you can find pretty much anything when it comes to fabrics and notions. Plus the prices are lower compared to many other stores. 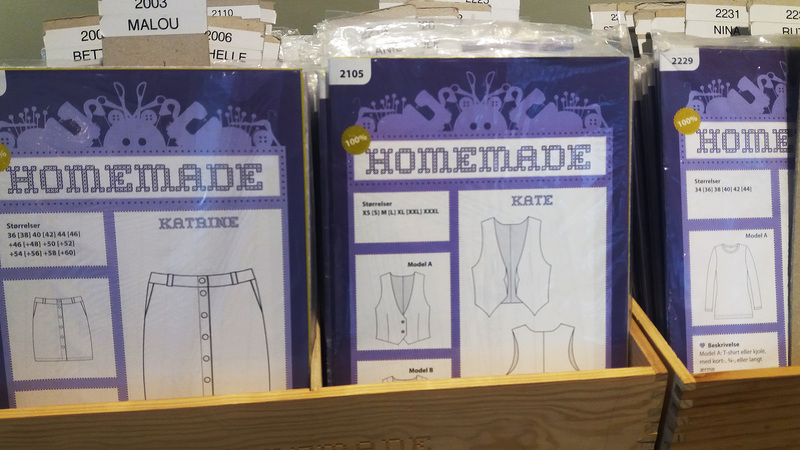 Also they have an ever growing organic fabric selection which has some really nice designs. 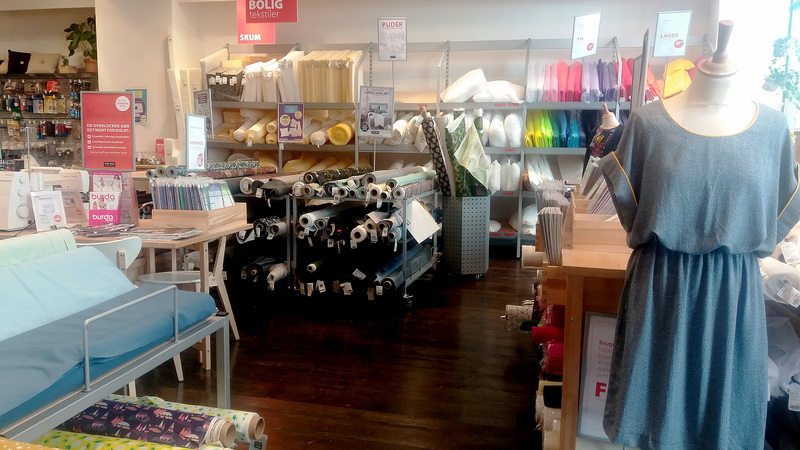 Their shops are not however as cosy and personal as some other fabric stores, and often lacks those special, magical fabric. But totally worth a visit. 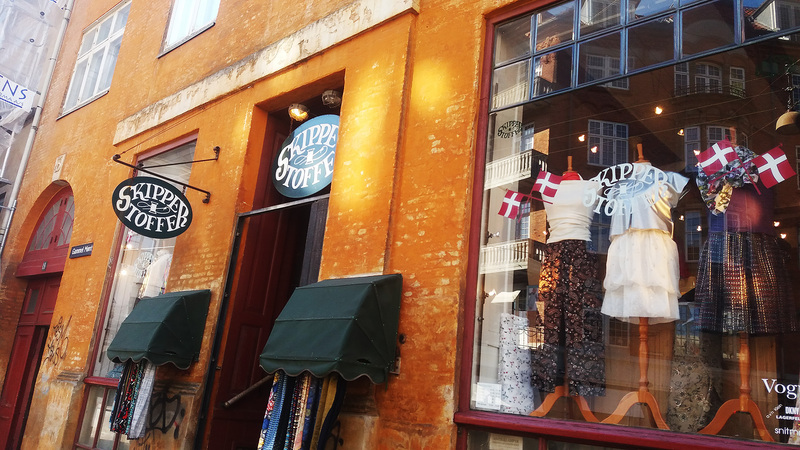 Just a few stone throws away from Stoff og Stil is another Stof 2000 shop. This was the only slight let down of my fabric shopping excursion, the store felt crowded and they had a smaller selection than the Nørrevold store. I did find a few nice fabrics though including a very costly beautifully printed silk fabric that I passed on due to its prize. 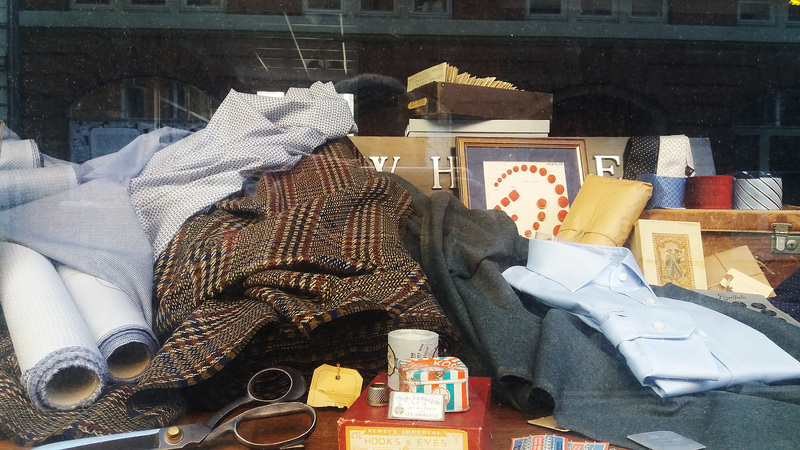 A really nice, old school store that specializes in high quality suiting and shirting fabrics. 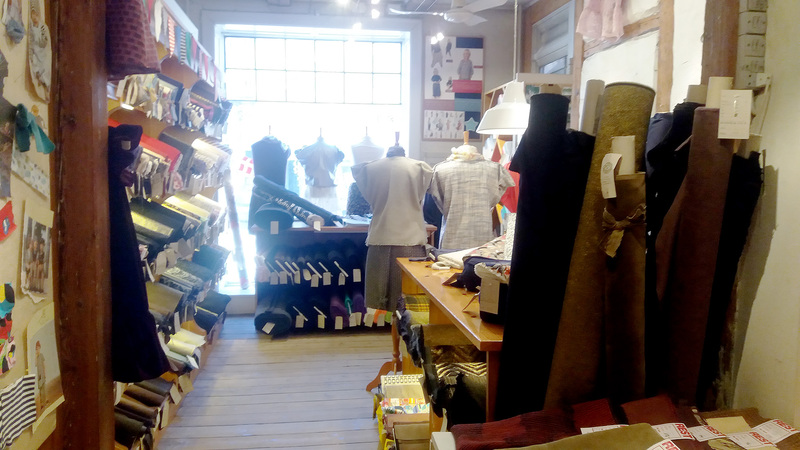 The inside is like unlike any other fabric store I have visited. It’s like walking through a maze to find all the fabrics that are hidden inside here. Even the pricing tags are hard to understand for a newbie, so me and my friend had to ask the sale clerk to decipher it for us. The prices are steep, but I think for the high quality fabrics I can totally see myself paying for it. I didn’t buy anything but my friend bought a beautiful claret wool jersey. 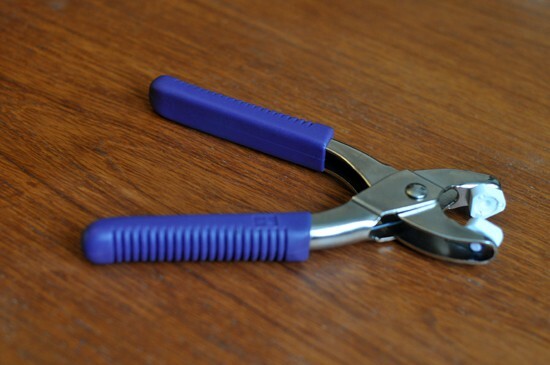 But they also have some regular fabrics that I think could be found elsewhere for less money. 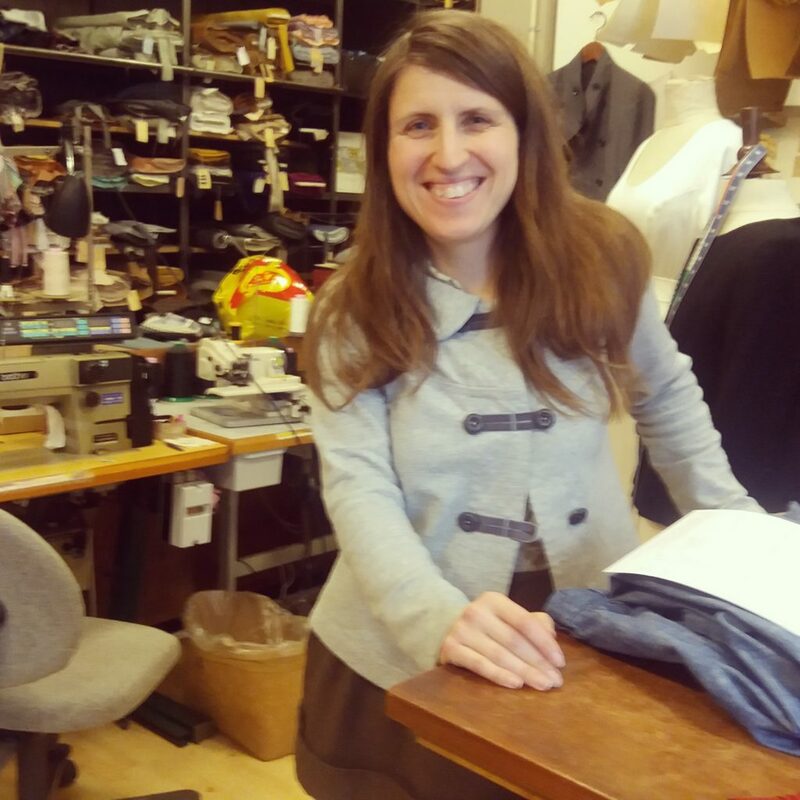 A blurry photo of me in one of the inner rooms of the store. This store is worth a visit for the atmosphere alone! Nice reviews! Love all that printed knit fabric–the raining clouds fabric in particular is adorable! Yes that print was lovely, it really brings life to otherwise very gray/black fabric! Yeah!!! Heading there today! Thx for the recommendations! You’re welcome! 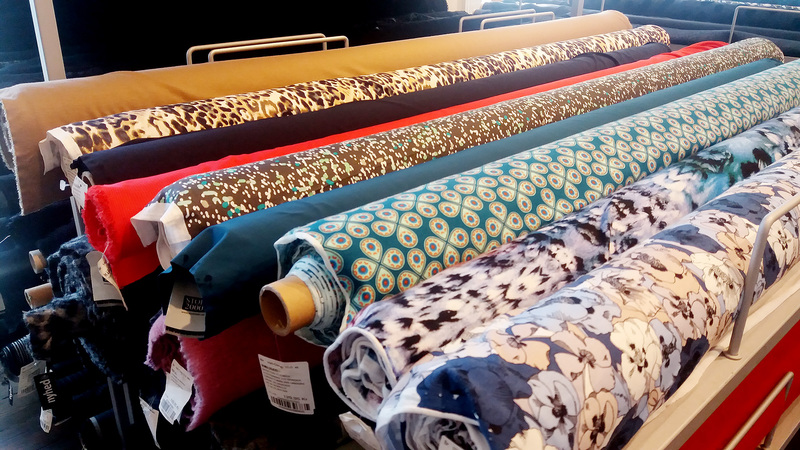 Hope you had a fun day fabric shopping, I love the fabric selection in Copenhagen! Ah thanks for this! Currently in my hotel room in Copenhagen and really glad to find comprehensive answers to my questions! You’re welcome! I think you will have a nice time fabric shopping in Copenhagen, plus a lot of the stores are within walking distance in the centre. Thank you for this. Based on your recommendations I was able to visit Skipper Stoff, Stoff 2000 Vestborough, & I W Hvidberg was just 2 doors down from our hotel! Heading there this weekend – so very pleased to have found this guide! Thank you!